This is fresh out of the box, never been used, and is also compatible w/the Alesis Crimson, Command, and Forge kits. Straightforward operation. They're all right there; just grab a knob and twist it. Unleash your music spontaneously using the durable velocity-sensitive pads. Record your every move live, or design your rhythmic creation in detail using the superb Elektron sequencer. Wire harness kit is straight plug on one side and right angle plug on other side. Includes: 10 cables total all dual Trigger cables - these also work with single trigger pads. 5 of the cables are 4.5ft long and the other 5 are 10ft long Labels and 3 wire ties included. 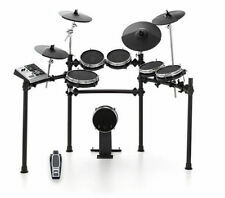 Only entire kits are covered by the Alesis one year warranty. 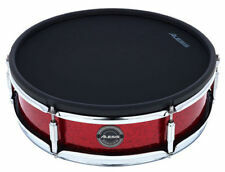 This pad is designed to be used as a snare mounted on a snare stand. There is no mounting clamp for mounting this pad on an L-rod. The Strike Pro pads have wood shells and a beautiful red finish. 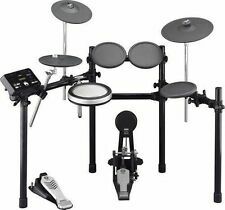 8-piece electronic drum set with HDS110USB sound module. 10 factory presets plus 5 user-programmable drum sets. Single-zone crash cymbal pad with choke. • 1 x 7.5?. dual zone snare pad. single-zone hi-hat cymbal pad. With renowned CD quality and durability, a new era of electronic percussion has been born. Setting new standards are the new Digital Drums which look great and sound superb. Only entire kits are covered by the Alesis one year warranty. This pad can be used as a snare or tom. The Strike Pro pads have wood shells and a beautiful red finish. These rival in design and responsiveness, their more expensive Roland counterparts. Only Roland TD20X Drum Module Can Read. ROLAND ONLY. DATA Compatible with Roland TD-20X Module Sequence. 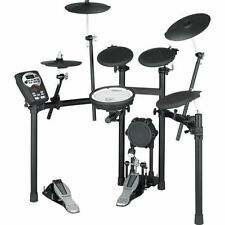 500 Bass & Drums Roland TD0 Format. On to Your Roland TD-20X. "Kick, Snare, Toms, Hi Hat, Cymbals ". Make your Drums more. 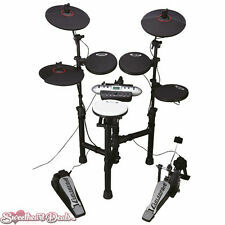 with new sounds from the Yamaha EAD10 Electronic Drum Module With Microphone and Trigger Pickup. The Yamaha EAD10 is introduces a compact mic and trigger system for your acoustic drums. Does not include cable snake. The Nitro module is filled with sounds—and surprises. Drum and cymbal buttons are arranged to resemble the layout of a traditional kit, so it’s simple to assign sounds and create kits quickly. A 3-band EQ will hope you achieve the sound your desire. 2-1/2" Tweeter. Subwoofer Exception : Our warranty does not cover blown voice coils, or subwoofers that have been punctured. This is considered abuse by the manufacturer and is not covered under warranty. A KD-80 kick drum pad, 3 PD-120 pads. Product information The ddrum DDTi is a simple electronic percussion interface designed to capture the feel of a real drum performance. Featuring both 5-pin MIDI and USB connectivity, the DDTi connects to your computer, synths, or drum modules. Due to "DNA" and other things;. 20 preset drum kits. 10 user defined drum kits. Recording and playback facility. Digitron display. Crash cymbal and expansion possibilities support your individual playing style and performance. WE ARE AN AUTHORIZED ROLAND DEALER. FULL MANUFACTURER'S WARRANTY INCLUDED. When you’re serious about drumming, you need a kit to match your ambition. Designed for open-ended flexibility, the KT-9 is compatible with Roland s full range of electronic percussion gear, from the OCTAPAD SPD-30 to the HandSonic HPD-20. It s the compact, ultra-quiet kick pedal that does it all. Alesis PERCPAD. 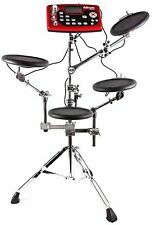 The PercPad enables you to add four drum pads and an optional kick trigger to your acoustic or electronic kit or percussion setup. 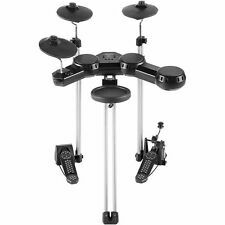 Unlike massive, overcomplicated multi-percussion units, the PercPad is specifically designed to be small and self-contained with just what you need and nothing you don't. This rack comes as pictures, no additional hardware, all items are in new condition. Never before has a drum machine that sounds this good with literally endless sound capabilities been set at a price this low. PO-32 is the first pocket operator which allows unlimited sounds. Step multiplier. The set also features a 10" ride cymbal with choke, a 10" crash with choke, and a 10" hi-hat with foot pedal. The included Command Advanced Drum Module features 74 drum kits (54 preset, 20 user) with 671 sounds. The Surge module is filled with sounds—and surprises. Drum and cymbal buttons are arranged to resemble the layout of a traditional kit, so it’s simple to assign sounds and create kits quickly. Easily tweak any existing kit, or create your own using the 385 superior drum, cymbal, and percussion sounds included in the Surge module. DYNACORD ADD one (Gold/Amber/White) OLED Display ! Oled Display upgrade for a DYNACORD ADD - one. Gold, Amber or White characters on black background. Up for a sale is an Alesis 12" Dual Zone Crash Cymbal & 27" heavy duty boom arm. 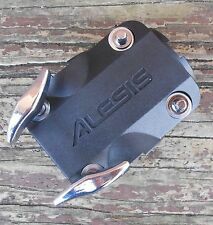 This was taken from an Alesis DM10 Studio kit, but is compatible w/most other Alesis, Simmons, & Roland models. 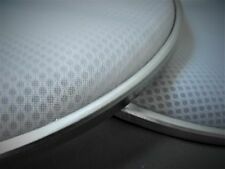 Tightly-woven 10" dual-zone snare pad for superior feel and playing response. 10" crash cymbal w/choke. 10" ride cymbal w/choke. 10" hi-hat cymbal. Command Advanced Drum Module with 70 kits (50 factory 20 user) and 600 sounds. Sealed in box and never opened. Manual is included outside of box. PylePro PTED01. This electronic table top drum kit is an all-in-one wonder. Each of the seven pads has touch sensitivity for an accurate response. Use the internal speakers or envelope yourself in percussive rhythms by plugging in your own headphones. Get real drum feel with next to no noise from your KAT Percussion KT3 kit. Each of the KT3's dual-zone snare and tom pads are specially engineered to give you natural and familiar stick rebound across the entire playing surface. They are fresh out of the box and have never been played. Included are the KT2P9 matching 9” white dual zone drum pad and the KT2C12D matching 12” grey dual zone cymbal pad. The best in the industry! Authorized Dealer. Latch notes or chords, toggle them on/off or play legato. Use it with your iPad and iOS devices - just plug and play! Optional MIDI Expander is required to connect to MIDI hardware. Used Gear is sold as is.